Enabel and the International Labour Organization (ILO) signed a memorandum of understanding, which will further strengthen their collaboration focusing on the promotion of decent work, labour market governance and migration. With this renewed partnership, both parties seek to foster future collaboration in the context of the VET Toolbox. An ambitious project implemented by a partnership of European bilateral agencies and managed by Enabel, which supports partner countries to deliver relevant vocational education and training for all. "We are looking forward to continue building exciting synergies between ILO and Enabel in a more structural way. Our expertise is very complementary and the VET Toolbox is a great opportunity to partner. Especially the focus on decent work is high in our joint agenda," explains Bartelijne van den Boogert, VET Toolbox Team Leader. 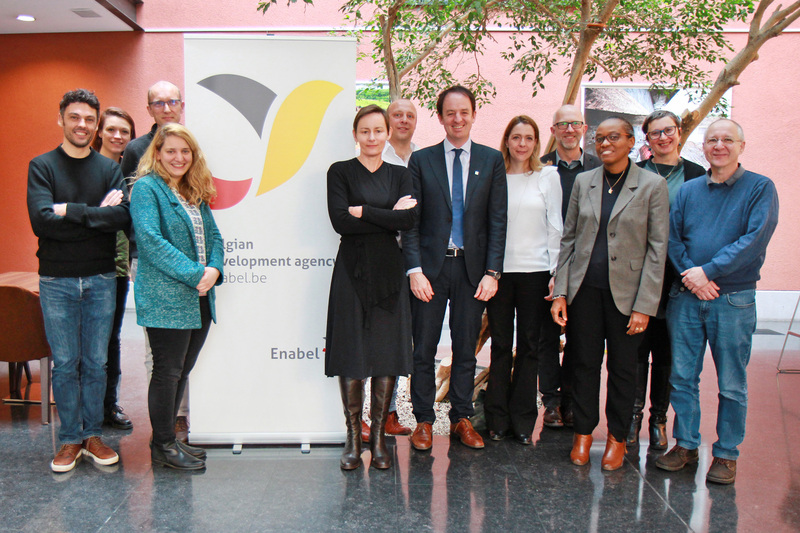 The Belgian development agency and the ILO continue working hand-in-hand on migration, the creation of decent employment opportunities and technical and vocational education and training (TVET). Partners will implement projects in Northern Africa and the Sahel in particular. Ms Lieve Verboven, Director of the ILO Office for the European Union and the Benelux countries and Mr Jean Van Wetter, Managing Director of Enabel sign a memorandum of understanding between ILO and Enabel.